1. FAO. Food and Agriculture Organization, 2016. Access date: 25.04.2018. Available from: http://www.fao.org/faostat. 2. Farahat, M., F. Abdallah, H. Ali, and A. Hernandez-Santana, Effect of dietary supplementation of grape seed extract on the growth performance, lipid profile, antioxidant status and immune response of broiler chickens. Animal, 2017. 11(5): p. 771-777. 3. Perumalla, A. and N.S. Hettiarachchy, Green tea and grape seed extracts—Potential applications in food safety and quality. Food Research International, 2011. 44(4): p. 827-839. 4. Garavaglia, J., M.M. Markoski, A. Oliveira, and A. Marcadenti, Grape seed oil compounds: Biological and chemical actions for health. Nutrition and Metabolic Insights, 2016. 9: p. 59-64. 5. Jerónimo, E., C.M. Alfaia, S.P. Alves, M.T. Dentinho, J.A. Prates, V. Vasta, J. Santos-Silva, and R.J. Bessa, Effect of dietary grape seed extract and Cistus ladanifer L. in combination with vegetable oil supplementation on lamb meat quality. Meat Science, 2012. 92(4): p. 841-847. 6. Correddu, F., A. Nudda, G. Battacone, R. Boe, A.H.D. Francesconi, and G. Pulina, Effects of grape seed supplementation, alone or associated with linseed, on ruminal metabolism in Sarda dairy sheep. Animal Feed Science and Technology, 2015. 199: p. 61-72. 7. Brenes, A., A. Viveros, I. Goni, C. Centeno, S. Sáyago-Ayerdy, I. Arija, and F. Saura-Calixto, Effect of grape pomace concentrate and vitamin E on digestibility of polyphenols and antioxidant activity in chickens. Poultry Science, 2008. 87(2): p. 307-316. 8. Hou, F., M. Xiao, J. Li, D.W. Cook, W. Zeng, C. Zhang, and Y. Mi, Ameliorative effect of grape seed proanthocyanidin extract on cadmium‐induced meiosis inhibition during oogenesis in chicken embryos. The Anatomical Record, 2016. 299(4): p. 450-460. 9. Wang, M., X. Suo, J. Gu, W. Zhang, Q. Fang, and X. Wang, Influence of grape seed proanthocyanidin extract in broiler chickens: effect on chicken coccidiosis and antioxidant status. Poultry Science, 2008. 87(11): p. 2273-2280. 10. Li, X., Y. Yang, S. Liu, J. Yang, C. Chen, and Z. Sun, Grape seed extract supplementation attenuates the heat stress-induced responses of jejunum epithelial cells in simmental×qinchuan steers. British Journal of Nutrition, 2014. 112(3): p. 347-357. 11. Gessner, D., C. Koch, F.-J. Romberg, A. Winkler, G. Dusel, E. Herzog, E. Most, and K. Eder, The effect of grape seed and grape marc meal extract on milk performance and the expression of genes of endoplasmic reticulum stress and inflammation in the liver of dairy cows in early lactation. Journal of Dairy Science, 2015. 98(12): p. 8856-8868. 12. Mokni, M., M. Amri, F. Limam, and E. Aouani, Effect of grape seed and skin supplement on milk yield and composition of dairy ewes. Tropical Animal Health and Production, 2017. 49(1): p. 131-137. 13. Omidi, M., S. Rahimi, and M.A.K. Torshizi. Modification of egg yolk fatty acids profile by using different oil sources. in Veterinary Research Forum. 2015. Faculty of Veterinary Medicine, Urmia University, Urmia, Iran. 14. Francesch, A. and M. Cartañà, The effects of grape seed in the diet of the Penedes chicken, on growth and on the chemical composition and sensory profile of meat. British Poultry Science, 2015. 56(4): p. 477-485. 15. Wischer, G., J. Boguhn, H. Steingaß, M. Schollenberger, and M. Rodehutscord, Effects of different tannin-rich extracts and rapeseed tannin monomers on methane formation and microbial protein synthesis in vitro. Animal, 2013. 7(11): p. 1796-1805. 16. Moate, P., S. Williams, V. Torok, M. Hannah, B. Ribaux, M. Tavendale, R. Eckard, J. Jacobs, M. Auldist, and W. Wales, Grape marc reduces methane emissions when fed to dairy cows. Journal of Dairy Science, 2014. 97(8): p. 5073-5087. 17. Bruno‐Soares, A., A. Soares‐Pereira, T. Matos, and J. Ricardo‐da‐Silva, Preliminary results on the effects of grape (Vitis vinifera) seed condensed tannins on in vitro intestinal digestibility of the lupin (Lupinus angustifolius) seed protein fraction in small ruminants. Journal of Animal Physiology and Animal Nutrition, 2011. 95(4): p. 456-460. 18. Kronberg, S. and C. Schauer, Cattle and sheep develop preference for drinking water containing grape seed tannin. Animal, 2013. 7(10): p. 1714-1720. 19. Spanghero, M., A. Salem, and P. Robinson, Chemical composition, including secondary metabolites, and rumen fermentability of seeds and pulp of Californian (USA) and Italian grape pomaces. Animal Feed Science and Technology, 2009. 152(3-4): p. 243-255. 20. Baumgärtel, T., H. Kluth, K. Epperlein, and M. Rodehutscord, A note on digestibility and energy value for sheep of different grape pomace. Small Ruminant Research, 2007. 67(2): p. 302-306. 21. Aro, S., Improvement in the nutritive quality of cassava and its by-products through microbial fermentation. African Journal of Biotechnology, 2008. 7(25): p. 4789-4797. 22. Couri, S., S. da Costa Terzi, G.A.S. Pinto, S.P. Freitas, and A.C.A. da Costa, Hydrolytic enzyme production in solid-state fermentation by Aspergillus niger 3T5B8. Process Biochemistry, 2000. 36(3): p. 255-261. 23. Zhang, X., L. Zhao, F. Cao, H. Ahmad, G. Wang, and T. Wang, Effects of feeding fermented Ginkgo biloba leaves on small intestinal morphology, absorption, and immunomodulation of early lipopolysaccharide-challenged chicks. Poultry Science, 2013. 92(1): p. 119-130. 24. Pérez-Guerra, N., A. Torrado-Agrasar, C. López-Macias, and L. Pastrana, Main characteristics and applications of solid substrate fermentation. Electronic Journal of Environmental, Agricultural and Food Chemistry, 2003. 2(3): p. 343-350. 25. Osma, J.F., J.L.T. Herrera, and S.R. Couto, Banana skin: A novel waste for laccase production by Trametes pubescens under solid-state conditions. Application to synthetic dye decolouration. Dyes and Pigments, 2007. 75(1): p. 32-37. 26. Raimbault, M., General and microbiological aspects of solid substrate fermentation. Electronic Journal of Biotechnology, 1998. 1(3): p. 26-27. 27. Cao, F., X. Zhang, W. Yu, L. Zhao, and T. Wang, Effect of feeding fermented Ginkgo biloba leaves on growth performance, meat quality, and lipid metabolism in broilers. Poultry Science, 2012. 91(5): p. 1210-1221. 28. AOAC, Official Methods of Analysis of AOAC International (17. Edition). 2000, AOAC International: ABD. 29. Van Soest, P.v., J. Robertson, and B. Lewis, Methods for dietary fiber, neutral detergent fiber, and nonstarch polysaccharides in relation to animal nutrition. Journal of Dairy Science, 1991. 74(10): p. 3583-3597. 30. Xie, P., L. Huang, C. Zhang, and Y.-l. Zhang, Nutrient assessment of olive leaf residues processed by solid-state fermentation as an innovative feedstuff additive. Journal of Applied Microbiology, 2016. 121(1): p. 28-40. 31. Aderemi, F. and F. Nworgu, Nutritional status of cassava peels and root sieviate biodegraded with Aspergillus niger. American-Eurasian Journal of Agricultural and Environmental Science, 2007. 2(3): p. 308-311. 32. Bregendahl, K., J. Sell, and D. Zimmerman, Effect of low-protein diets on growth performance and body composition of broiler chicks. Poultry Science, 2002. 81(8): p. 1156-1167. 33. Vandenberghe, L.P., C.R. Soccol, A. Pandey, and J.-M. Lebeault, Solid-state fermentation for the synthesis of citric acid by Aspergillus niger. Bioresource Technology, 2000. 74(2): p. 175-178. 34. Iyayi, E.A. and D.M. Losel, Protein enrichment of cassava by-products through solid state fermentation by fungi. The Journal of Food Technology in Africa, 2001. 6(4): p. 116-118. 35. Okpako, C., V. Ntui, A. Osuagwu, and F. Obasi, Proximate composition and cyanide content of cassava peels fermented with Aspergillus niger and Lactobacillus rhamnosus. Journal of Food Agriculture & Environment, 2008. 6(2): p. 251-255. 36. Dei, H., S. Rose, A. Mackenzie, and R. Amarowicz, Growth performance of broiler chickens fed diets containing shea nut (Vitellaria paradoxa, Gaertn.) meal fermented with Aspergillus niger. Poultry Science, 2008. 87(9): p. 1773-1778. 37. Wu, Q., Z. Wang, G. Wang, Y. Li, and Y. Qi, Effects of feed supplemented with fermented pine needles (Pinus ponderosa) on growth performance and antioxidant status in broilers. Poultry Science, 2015. 94(6): p. 1138-1144. 38. Güngör, E., A. Altop, E. Öztürk, and G. Erener, Nutritional changes of sour cherry (Prunus cerasus) kernel subjected to Aspergillus niger solid-state fermentation. Journal of Tekirdag Agricultural Faculty, 2017: p. 99-103. 39. Graminha, E., A. Gonçalves, R. Pirota, M. Balsalobre, R. Da Silva, and E. Gomes, Enzyme production by solid-state fermentation: Application to animal nutrition. Animal Feed Science and Technology, 2008. 144(1): p. 1-22. 40. Aguilar, C.N., A. Aguilera-Carbo, A. Robledo, J. Ventura, R. Belmares, D. Martinez, R. Rodríguez-Herrera, and J. Contreras, Production of antioxidant nutraceuticals by solid-state cultures of pomegranate (Punica granatum) peel and creosote bush (Larrea tridentata) leaves. Food Technology and Biotechnology, 2008. 46(2): p. 218-222. 41. Papagianni, M., Advances in citric acid fermentation by Aspergillus niger: biochemical aspects, membrane transport and modeling. Biotechnology Advances, 2007. 25(3): p. 244-263. ISNAD Altop, Aydın , Güngör, Emrah , Erener, Güray . "Aspergillus niger may improve nutritional quality of grape seed and its usability in animal nutrition through solid-state fermentation". 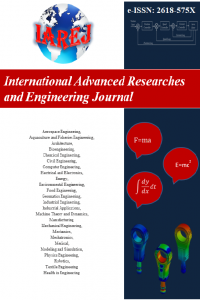 International Advanced Researches and Engineering Journal 2 / 3 (December 2018): 273-277. Any further distribution of this work must maintain attribution to the author(s) and the title of the work, journal citation and DOI.